Want to see what it’s like inside a chilly 9 degree wonderland? Take a video walk through of 2017 ICE! so you can pick out your picture spots, check out the 5 ice slides and get a sneak peek of what to expect! Just click play on the video above and take a walk with me inside! Closed Toe Shoes – this is my #1 MUST-have! Long Pants – my family all wore jeans and we were fine. Long Shirts – I had a long sleeve flannel shirt and a tank top and was just fine. I recommend an extra layer sweatshirt/sweater for your kids as the included parkas may fit loosely – allowing more cold air to get inside. Phones/Cameras – despite the 9 degrees, my DSLR camera did just fine. You may want to bring your special lens wipe as you move from cold to normal temperature rooms. Backup Batteries – the cold weather can really drain your phone and camera batteries. I recommend a portable charger and backup batteries just in case! Tissues – the cold instantly makes my nose run. Bags – I recommend a crossover bag or backpack for easy accessibility. The parkas do NOT have pockets! ICE! Entry – your admission price includes a 1-time entry into the exhibit. Please note that you can exit into the adjoining room to warm up and go back in. You cannot however leave the ICE! entrance area and come back later. Parking – the cost to park is $22 a day. EKK! I recommend eating at one of the restaurants before or after to validate your parking so you can nix that cost. Crowds – expect crowds to pick up as it gets closer to the holidays. Go sooner rather than later to avoid long lines! 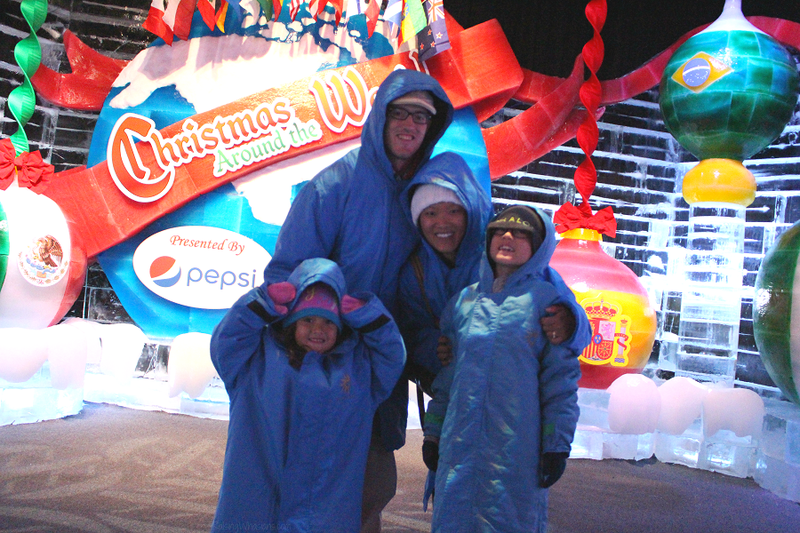 Parkas – parka rental is included with your admission and come in multiple sizes. FYI, these parkas do NOT have pockets, but they do have hoods and go past your knees. Food & Beverages – these will be available for purchase and include tasty holiday treats like shaved ice & hot chocolate. Store – There’s a big store with tons of great holiday themed merchandise from ornaments to edibles. There’s so much MORE than just ICE! to experience! 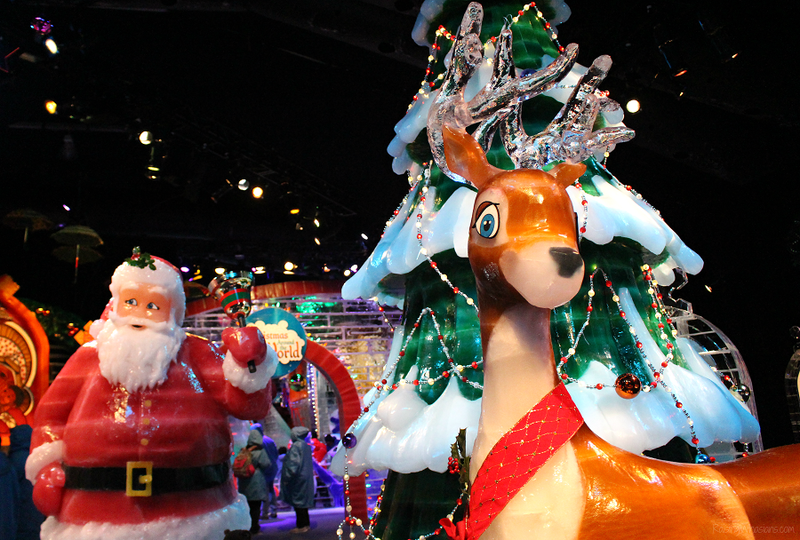 Gaylord Palms offers guests a variety of attractions to experience during the holidays. Check out the full list of experiences, dates and times here. 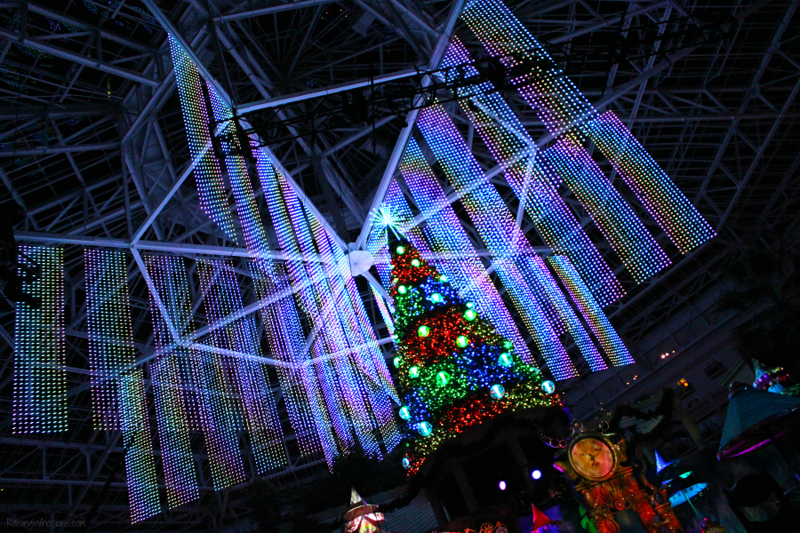 Joyful Atrium Light Show – in the atrium of Gaylord Palms, you’ll see a huge Christmas tree and stage. Be sure to catch the Joyful Light Show (included with your admission price). See the lights twinkle and dance as they sync to holiday music. Cirque Dreams Unwrapped – think Cirque du Soleil, but on a slightly smaller scale. 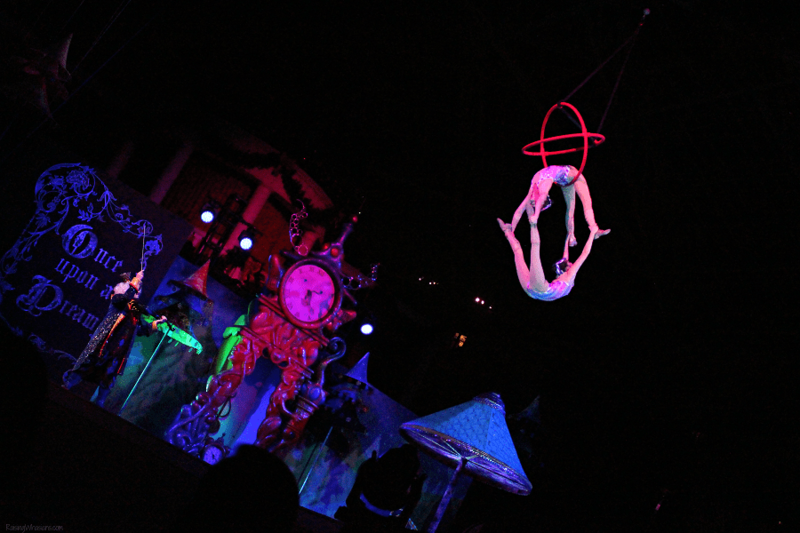 Included with your admission, this show features stunt performers that rotate throughout the nights – acts include trapeze swinging, roller skating and more. Alpine Village Attractions – This area is a new addition since my 5+ year visit. Here you can experience extra attractions for an additional fee. There are SnowTubing slides (minimum height requirement 36 inches with an adult), Santa’s Snow Throw (snowball throw), Gingerbread decorating, Mrs. Claus’ Christmas Traditions and more. Sounds of the Season Concert Series – enjoy 5 special nights of singing performances on stage for $29.99. This includes admission to ICE! Breakfast with Charlie Brown & Friends – hang out with your favorite pals in this one-of-a-kind character breakfast with special Charlie Brown breakfast menu items, prices starting at $23. Gaylord Palms Atrium – Be sure to take your family for a stroll around this huge Gaylord Palms attraction. All decked out for the holidays, your kids will love checking out some of the usual attractions like gators, fish and the replica Castillo de San Marcos as well as the Christmas Tree Trail with sights and history of Christmas around different countries. Gaylord Palms Restaurants – If you have time, I definitely recommend eating at one of the many sit-down restaurants inside the hotel as well. Not only do you get a great view and delicious food, but your parking will also get validated. Looking to save on your family’s ICE! visit? Check out these tips for snagging your tickets for less! Dates – Ice! 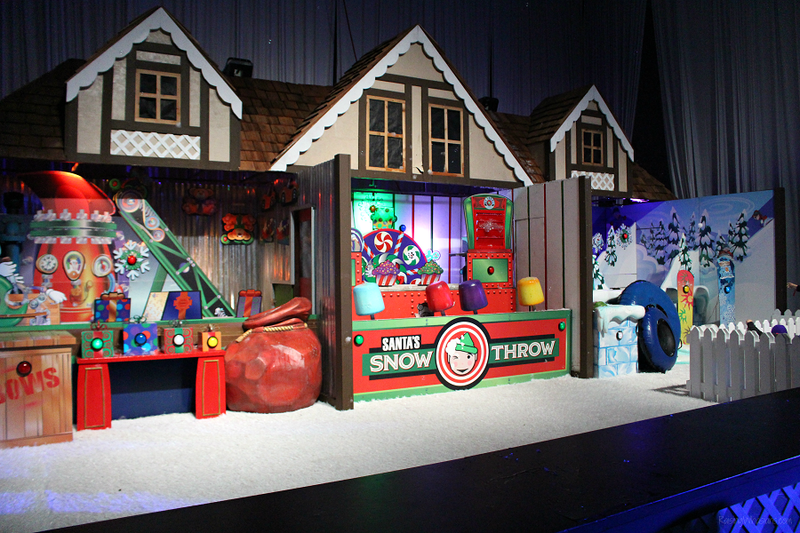 featuring Christmas Around the World runs from November 21 – January 7. Cost – price start as low as $14.99 for kids and $28.99 for adults. Savings – Get your ICE! Savings Tickets for big discounts. Florida Residents can save up to $4 off tickets with code FLR17 online or $3 at the ticket booth with valid ID. If you need to maximize time and attractions, the Play & Save Passes offer skip line options and multiple attraction bundles. You can also buy a Freezin’ Season Pass if you plan on going multiple times throughout the holidays. Look for coupons from your local school too. My kids both came home with BOGO coupons! Today through 11/29, you can also take advantage of the ICE! Cyber Monday sale – with tickets starting as low as $9.99 (33% savings). 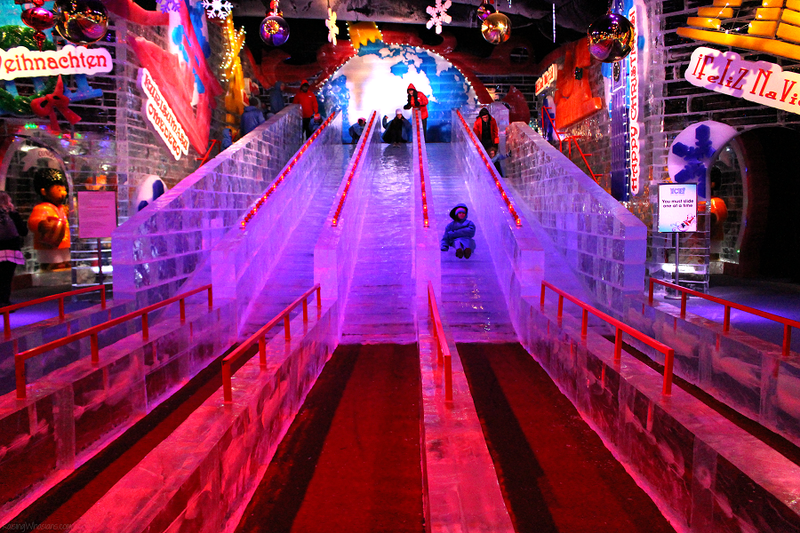 Still have questions about visiting Gaylord Palms ICE? You can find the complete ICE! featuring Christmas Around the World FAQ here. Be sure to follow Gaylord Palms on Facebook, Twitter, Instagram and YouTube for the latest 2017 ICE! updates, deals and more with hashtag #CAGP17. 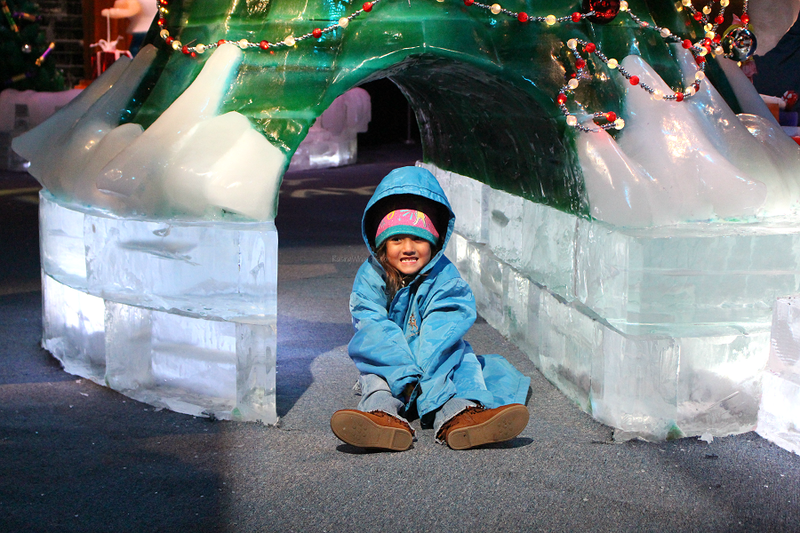 Will you be visiting Gaylord Palms ICE! with your family this holiday season? I was invited to attend a special sneak peek of ICE! at Gaylord Palms as media. All opinions are my own. Be sure to follow Raising Whasians via Facebook, Twitter, Google, Instagram, Pinterest and YouTube for family travel tips, best of Orlando for families and more. What a really neat place to spend with your family. I don’t like the cold at all but would definitely love going there. This looks like a place my family would really enjoy! This looks amazing! My grandsons would have fun here for hours and hours! This looks like such a fun family outing. The Gaylord hotels are awesome on a regular day but the holiday attractions kick it up a notch. This looks so cool— literally and figuratively! I love events like this that can be a great family tradition. We always enjoy the ICE! exhibit at Gaylord hotels. It’s crazy how cold it gets in there. If your groupon ticket for Gaylord ICE say 10:00, does the mean you have to come at 10:00 or does it mean come anytime after 10:00?